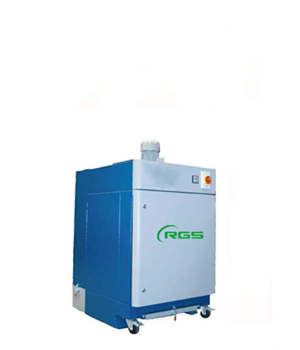 RGS offers a wide range of high air flow systems staring from 1.1 kw with an air flow up 1100 m続/hr to 20 kw having air flow of 20000 m続/hr. 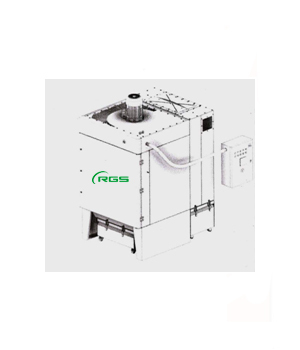 These units are best suitable for individual collection points and can be used for centralized extraction in the couple plant. The fully automatic microprocessor based filter cleaning make these units trouble free and works in continuous form without and manual introversion. 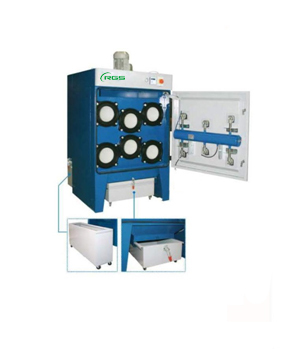 Dust from the source is collected using extraction hoods which travels through duct, and reaches the filter unit with a travel velocity of 20-28 m/sec and further retained by filter bag or cartridge filters having retention effect of 0.1 millions. The cleaned air is exhausted into the atmosphere. 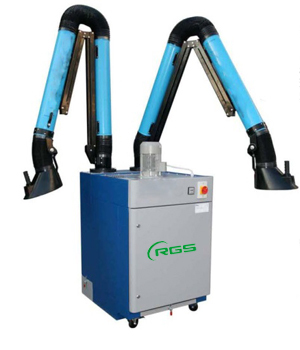 Small and compact online dust and fume extractor compatible with one extraction arm or one point of extraction with fully automatic filter cleaning. 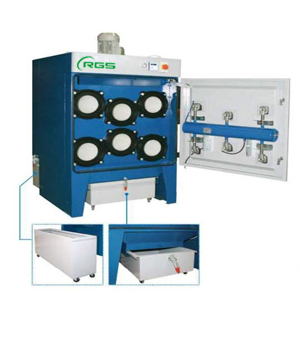 Small and compact online dust and fume extractor compatible with one or more point of extraction with fully automatic filter cleaning. 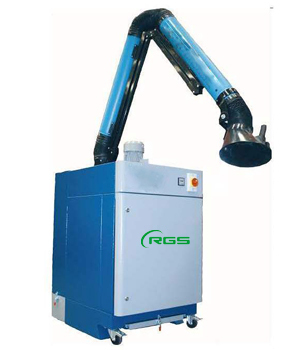 A TWIN Arm online dust and fume extractor with fully automatic filter cleaning. 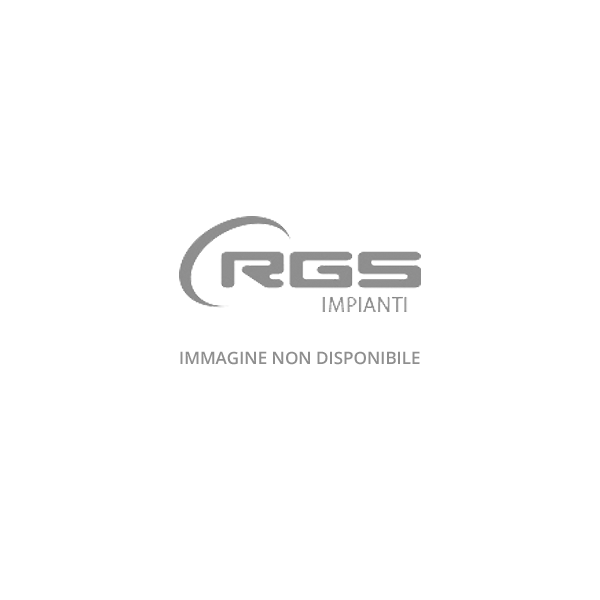 An efficient and compact centralized extraction units with fully automatic filter cleaning to extract from four or more points at a time. Dust extractors in Atex version safe to use in explosion sensitive areas. What is 3 - 7?